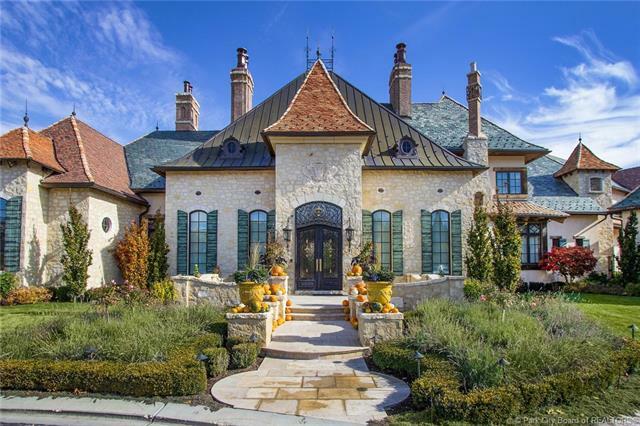 The prestigious Deer Hollow Estate! Enjoy outdoor and indoor entertaining with a covered bar/bbq off covered patio with outdoor fireplace, right off the stunning gourmet kitchen that’s big enough for all your catering/cooking needs and a 2-story vaulted and architecturally designed beamed great room with floor to ceiling windows, encapsulating views to die for! Enter into the grand foyer with sweeping staircase, formal living and dining rooms and enjoy a spacious main floor master suite, en-suite spare bedrooms, huge gaming/theater room with full bar, oversized recreation room, massive vaulted ceilings and so much more and only minutes from world class ski resorts, world renowned medical facilities, downtown SLC nightlife and the Salt Lake international airport. There has never been a better time to live in UTAH! Information deemed reliable but not guaranteed. Buyer to verify all.